In 2012 I had just begun writing for The NotMom. I pitched an idea to Karen to interview childfree (by choice or by chance) bloggers to get their perspective. I aimed high for my first conversation: Jen Yates of the popular blog Cakewrecks. I was absolutely giddy when she responded to my request and the interview has remained one of the most popular posts on The NotMom. Jen writes another blog called EPBOT about life as a geek. I knew she and her husband John were my people. Every year we both go to Dragon Con but never had a chance to run into one another, until this year. 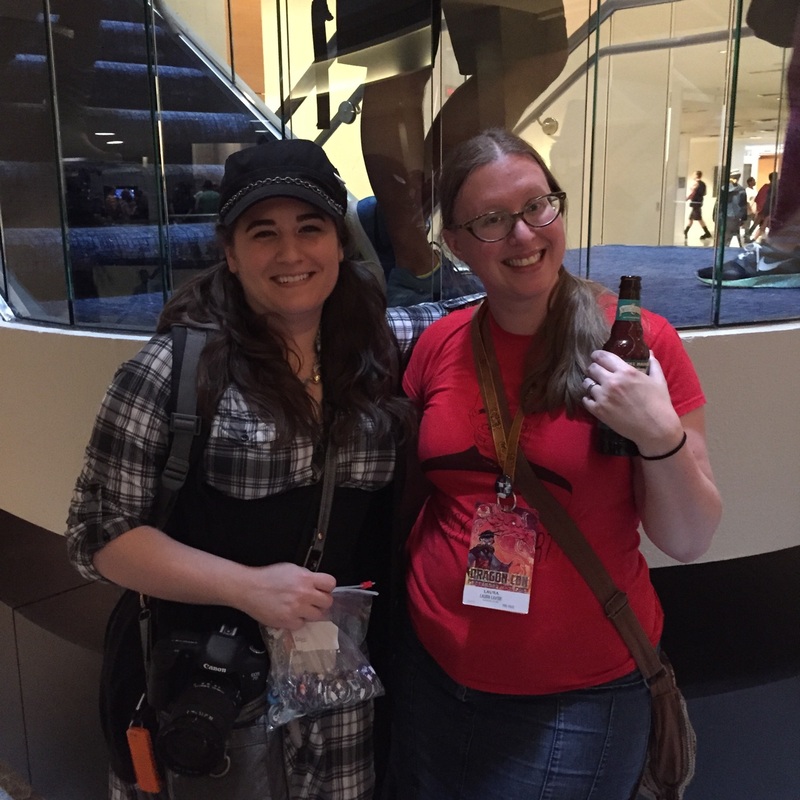 I found Jen during her official Meet and Greet but my friends and I also ran into her and her wonderful husband, John, every other day of Con. Sometimes twice. They are such fantastic people I was so happy to get to know them, even during such brief encounters.